Jake Cole of Slant Magazine has written a very enthusiastic review of the Criterion release, including its unique special features. Review on EDGE Media Network. Svet begs you to pay no attention to those lying liars who claim to understand The Color of Pomegranates. Leaving behind the anti-intellectual idiocy, does that even remotely sound like a 4/5 movie review? I spent that entire review searching for a way to resolve that conundrum but was left in frustration. Took him long enough to review this one. With even Criterion releases sometimes not even being reviewed at all, I wonder when they might point out he's not as timely as he used to. I'd rate it a soft consensus 3/5. My heavens, those screen shots look positively putrid! 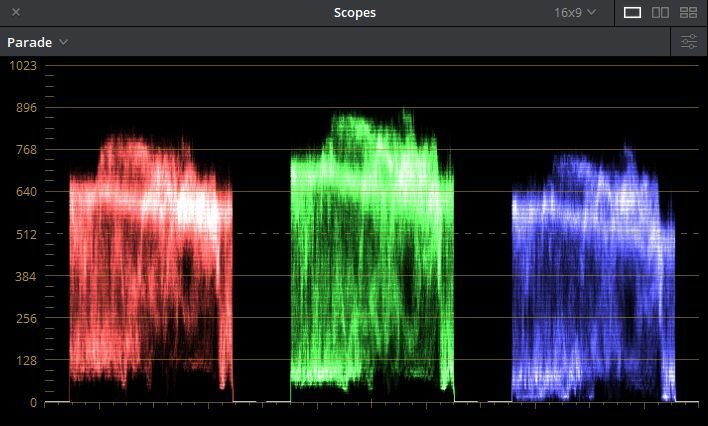 Earlier in this thread, someone linked to jsteffe's blog entry on the color timing issues. I got it anyway because there wasn't much of an alternative. I don't recall it looking as bad as those screencaps, but you can definitely tell it's been messed with, similar to Criterion's Muriel and L'argent reissues. Alas. Shockingly bad. Criterion should have abandoned its plan to release this until a better version could be made. Yes but that would mean most of these Ritrovata graded restorations should be knocked back and that comes back to the mystery surrounding this whole practice and why no one in the business seems to be directly doing anything about it. I sent them an email a few days ago about this. I sent one in Feb 2018, but that was in French to their French branch. The guy there told me he forwarded it to the direction and would forward me the answer, except there never was any answer (at least, not that I know of). I translated it and updated it with the most recent exemples, plus James' findings and sent that this time to the Italian email address. I'm quite certain they're aware of what being told about their gradings, they're not living on an island with no connection to the outside world, but I'd really want to have their technical answer about what they're doing and why they're doing it. Eclair answered me about the elevated black levels sometimes found on their B&W restorations, I'd expect Ritrovata to show the same transparency, especially when it's not a commercial gig we're talking about, but cultural restoration and preservation. Where and how can I learn these specifics of colors and image presentation? (Not how to notice piss yellow). When I read these technical reviews I'm at a loss what some of terms mean. I'm not sure there is some kind of glossary anywhere, especially because many times, the reviews will try and transcribe a general subjective feeling, and might thus use external non-technical words, or technical words in a slightly incorrect meaning (I know I do). I think the best place to start might be however with photography, since there will be a good chunk of overlap : crushed blacks, burned whites, over/under-exposition, contrast, luminosity, white balance, color bias, blur, sharpen, noise, grain, etc. Then, it's more of a question of being frequently exposed to these terms. I learnt most of what I know this way, since I'm not working in this technical field at all and am purely self-taught about movies, so I'm only knowledgeable about what I've encountered (some members here are most likely way more knowledgeable than I am). If you have some specific words you're wondering about however, maybe it's best to just ask, because I think there are so many potential technical words that I wouldn't know exactly where to start (plus, I'm not a native English speaker, which isn't helping). EDIT : not about reviewing terms, but the National Film and Sound Archive of Australia has a technical glossary which certainly can be useful but it is focused on material elements like negatives, Ektachrome, Halation, etc, but within all this, there certainly are terms that can be used on digital restoration presentations. Maybe we should create a separate thread for colour timing issues: The colour of THE COLOUR OF POMEGRANATES. It (sadly) is an intrinsequial element of this release, but yeah, a thread split might be justified. Thanks. I know some of these, but what is crushed black and microblocking for example? The pattern varies slightly depending on the specific visual contents of a shot, but this is the typical pattern that you see across the film. The green channel is elevated highest, then the red, and the blue is the lowest. That's why the entire film has a yellow-green cast to varying degrees. The floor of the blue channel is also lower than the red and the green, and occasionally the blue is pushed down to zero or below, contributing to crushed blacks. Ah so there is a videophile equivalent to analyzing wave forms. I am unironically excited!